These are species that grow as woody shrubs and keep their foliage year round. Pruning is both an art and a science. 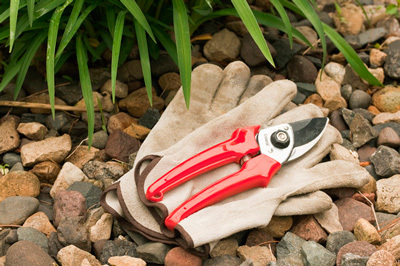 It takes practice, experience and learning from your mistakes to become a proficient pruner. The pruning information about this plant should be considered as a guideline for getting started. Your particular climate, soils, watering and fertility schedules, sun exposure, space requirements and weather are all factors that influence how and when you choose to prune. We’re providing a starting place for you, and over time you will learn the particularities of this plant in your garden. 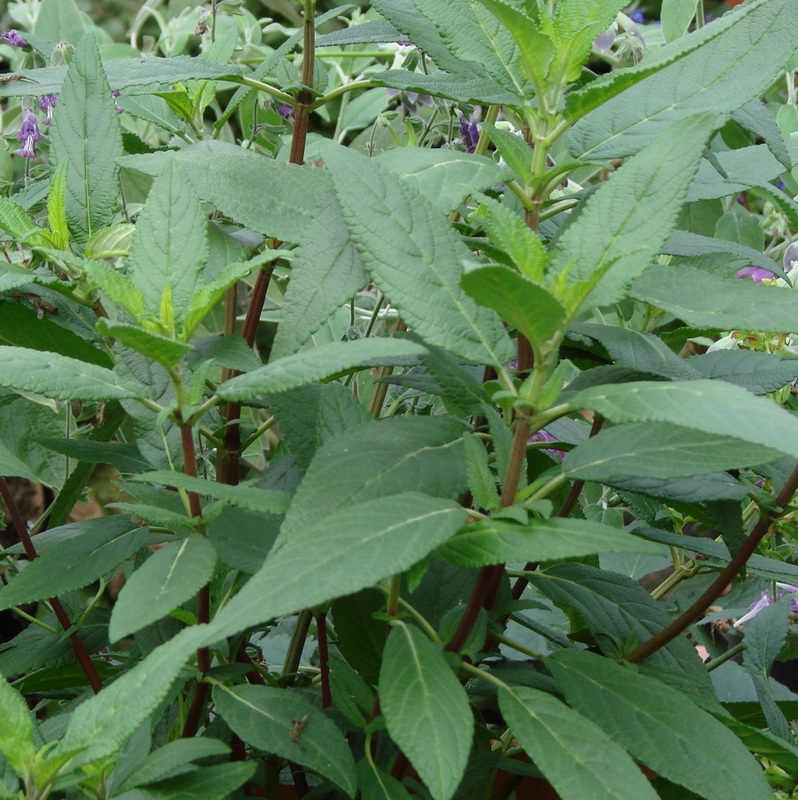 Don’t be afraid to get started – Salvias, in general, are quick to rebound if inappropriately pruned. Deadheading – the removal of spent flowers, is a practice that will always benefit the plant’s health and appearance. This can be done at any time. Pruning involves removal of entire stems of spent growth. Becoming "spent" means that flowering stems stop blooming and begin going to seed. At any time, you can perform cosmetic pruning -- shaping, controlling height and width and removing the oldest wood. Some gardeners periodically remove the oldest stems to encourage fresh new growth. Check the Views from the Garden section of our Everything Salvias Blog for videos that apply to this plant. 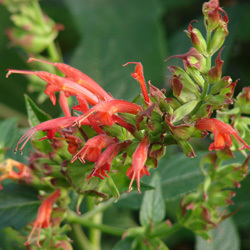 Hummingbirds love Salvia (sage) nectar and are attracted to it by the bright colors of tubular sage blossoms. In particular, these little whirlybirds can easily spot flowers in the red spectrum, which is prevalent among sages. Here are some hummingbird gardening tips. Go tubular. Hummingbirds need tubular flowers that are easy for long, thin beaks to access. Provide lots of color. Think of yourself as a cafeteria manager who needs to provide many tempting choices in order to attract business. Red, pink, orange and purple sages are particularly powerful hummingbird magnets. Keep your garden blooming. Plant a variety of Salvias based not only on color but also a broad span of bloom times. Many flower from spring into fall. Others are prolific fountains of nectar for shorter seasons. Numerous winter-blooming species are available for areas that are home to hummingbirds year round. Grow sages native to the Western Hemisphere. Although hummingbirds will take advantage of many kinds of tubular flowering plants, these tiny birds are native to the Western Hemisphere and prefer flowering plants native to their half of the world. Select Salvia companion plants. 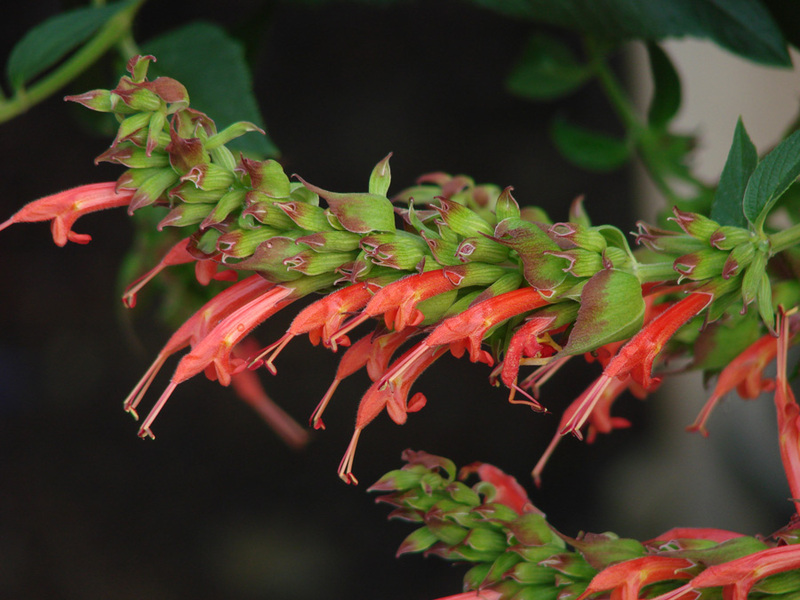 Hummingbirds appreciate a variety of favorite tubular-flowered plants. Plant hummingbird gardens near cover. Trees and bushes surrounding feeding areas provide protection from predators and chilly, rainy weather. Don't use pesticides. Insects provide protein for hummingbirds, so don't kill these food sources. Provide water. Hummingbirds frolic in misters and shallow birdbaths. Supplement plantings with feeder tubes. Change the sugar water every few days and don't add food coloring. Keep the feeders clean, but don't scrub them with soaps or detergents. Here is more feeder care information. Read more. 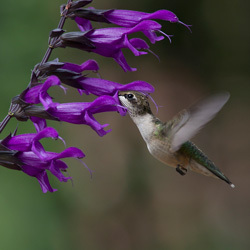 Our Everything Salvias Blog offers a number of articles about hummingbirds. If you live in suburbs or rural areas where deer plunder gardens, Salvias (sages) can be part of your plan for discouraging these hungry visitors. Here are some tips. Mask smells that deer like with aromatic sages. Deer and other members of the Cervidae family, such as elk, mostly leave Salvias alone. One theory is that they don't like the fragrance or taste of sage chemicals. Strategically planting sages near vegetable gardens or fruit trees -- elixir to deer -- may prevent consumption. Grow hedges including Salvias. Prickly hedges, including hairy-leafed Salvias and exceptionally thorny roses, can discourage deer from entering your yard. They don't like the mouth-feel of those textures. Tall hedges also hide strawberry beds and other yummy plantings from view. Don't overplant one species. 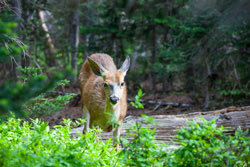 Grow a variety of Salvias in case local deer take an unexpected liking to one species of sage. Fence deer out. Install electric fences or 8-foot wood or metal fences around particularly vulnerable areas. Make sure electric fencing is turned on during the peak feeding seasons of early spring and late fall. Use motion-detection tools. Install outdoor lighting that is activated by movement. Let the dogs out. Deer are especially wary of large dogs. Surround and cover. Wrap tough plastic around the trunks of trees that have tasty bark and cover foliage with bird netting when trees and bushes are fruiting. Change yard ornaments periodically. Objects such as scarecrows, statuary and cordons of monofilament string with strips of shiny foil attached cause deer to shy away. Make safe choices. Research repellants you plan to use to make sure they aren't poisonous. Be flexible and ready to share a bit. There is no such thing as a completely deer-resistant garden. Don't raise plant prices to artificially subsidize low shipping fees. UPS rate structure makes it possible for us to decrease the shipping price per plant as order size increases. Also our advance order process lets you select delayed shipment based on available shipping dates. Remember, FBTS guarantees satisfaction. Looking for a larger quantity? We are continually propagating most Salvia varieties, to be able to ship to you plants "in their prime", ideal for planting out. Generally we maintain a relatively small number of any given plant in inventory. We can often grow larger quantities to meet specific needs. If you are looking for more than what we have in our current inventory, please contact us. (Dominican Sage) From high elevations in the mountains of the Dominican Republic, this beautiful Sage is rare and unique. The large, bold, deep green leathery leaves are a perfect backdrop to delicate orange flowers. This plant is can be challenging to grow in conditions outside those in which it is found in the wild. This icon indicates that the plant you are considering is reliably easy to grow if you meet its limited needs. The plants that we identify as easy are particularly adaptable to a broad range of growing conditions. Perhaps you live in a region where temperatures swing from from frigid winters to scorching summers. We have no-fuss Salvias and companion plants to meet your climate. Possibly, the moisture level in your area can only be described as "not!" Or maybe you live where summers are predictably dry and winters are wet, or vice versa. We have undemanding beauties for you. Whether you are looking for plants that can handle exposure from full sun to partial shade or that adjust from weak to rich soils, our no-fuss Salvias and companion plants are ready to perform reliably. For more information about easy-to-grow Salvias and companion plants, please email or call us at Flowers by the Sea. We are glad to answer your questions. This is the non-scientific name used for a plant. A plant may have several common names, depending on the gardener's location. To further confuse the matter, a common name may be shared by several completely different plants. At Flowers by the Sea, we rely on the scientific name to identify our plants and avoid confusion. The U.S. Department of Agriculture plant hardiness zones indicate the temperature zones where a plant is likely to thrive. It is determined by the average annual winter minimum temperature. Actual winter temperatures may be higher or lower than the average. The anticipated mature size of the plant: Height, Width & Flower Height. This is the average amount of sunlight that a plant needs to thrive. Generally, full sun exposure is 6 or more hours of direct sun daily while partial shade is less than 4 hours of sun or dappled shade all day. Plants may tolerate more sunlight in cooler climates and need afternoon shade in extremely hot climates. This is the kind of soil that a plant needs to thrive. Most plants require a well-drained soil that allows the water to soak into the soil without becoming soggy. Sandy and clay soils can be improved by digging in compost to improve drainage. Plants have specific water requirements. Water loving means the plant needs regular watering to keep the soil moist. Average generally indicates applying 1 inch of water per week, or watering when the soil is dry to a depth of 3 to 4 inches. One inch of water is equal to 5 gallons per square yard of soil surface. This is the size of the pot your plant will arrive in. All will be well rooted & branched and ready to grow when planted. Our 3 1/2 inch pots have a volume of 1.0 pints or 473 ml. "Yes" indicates that this plant can be successfully grown as a container plant. Hummingbirds have been observed regularly feeding from this plant's flowers. (Dominican Sage) From high elevations in the mountains of the Dominican Republic, this beautiful Sage is rare and unique. The large, bold, deep green leathery leaves are a perfect backdrop to delicate orange flowers. The fist to overegrown zucchini sized inflorescens is apple green with red highlights, with the flowers emerging over a long period. In or out of bloom this is a distinctive and most attractive plant. Dominican Sage grows into a large evergreen shrub. Since it is winter blooming and tender, it is most suitable for the frost free southern states. Tolerant of almost any well drained soil, it thrives in rich soil with adequate water. We are happy to offfer this stunner for the first time in 2017. Here are some guidelines for success with this plant in your garden. Click on an individual icon for more detailed information. This plant needs or tolerates more than six hours of intense sunlight daily. Many Salvias only thrive in wide-open locations where they receive long hours of full sun. However, full-sun species sometimes tolerate a bit of partial shade. Or a Salvia that loves partial shade may be amenable to spending part of its time in full sun. In general, this sun/shade adaptability shows up in Salvias that do best in cooler climates when grown in full sun and thrive in hot climates when partial shade is available. So full-sun Salvias sometimes are also categorized as partial-shade plants and vice versa. This plant can handle extreme heat. Full-sun Salvias that don’t like any shade are among the most heat tolerant. Heat-loving Salvias also are often drought tolerant. Moisture-conserving features, such as fuzzy leaves, help them stay perky at high temperatures. Heat-tolerant Salvias are fine choices for western and southern exposures. Plant hardiness Zones defined by the U.S. Department of Agriculture tell you the minimum temperatures a plant can withstand in your garden. The USDA divides the nation into winter climate areas from coldest (Zone 1) to warmest (Zone 11). However, it is sometimes possible to grow a Zone 6 Salvia as a perennial in Zone 5 if you provide preferential care, such as winter mulching and a location sheltered from harsh winds. In contrast, a Zone 9 Salvia may act like a perennial in Zone 10 if given a bit of shade or extra water. To create a harmonious landscape plan, it is important to consider the heights of individual plants. Height also affects function. Short Salvias often make excellent ground covers that conserve soil moisture and discourage weeds while also brightening your yard. Medium-height Salvias, such as ones 36 inches tall, often are ideal border plants. A tall Salvia planted singly can highlight a landscape; multiple plantings can form an attractive screen. By considering the width of a plant, you can determine how many to place in a row or what other plants to grow with it. For example, a narrow, moderate-height Salvia may look good interplanted with bushier species, kind of like Mutt and Jeff. In contrast, wide-spreading Salvias are economical for hiding lengths of wall and fence or for creating hedge-like divisions in a yard. Shrubs are characterized not only by bushy foliage but also by woody stems. Shrubby Salvias may be evergreen or deciduous. Some Winter-blooming, deciduous species lose their foliage during hot weather. Some Salvias, classified as subshrubs, have a combination of woody and tender, herbaceous growth. This plant needs regular watering based on what is appropriate to your local conditions. In some extremely hot, arid climates, this may mean daily watering in Summer. Although many drought-resistant Salvias survive on little to no watering due to local rainfall and deep roots meeting their moisture needs, others need regular doses. The size and frequency of the dose depends on your climate. This plant flowers throughout Winter. Many winter-blooming Salvias begin flowering in late Fall and continue on into Spring; there is a lot of overlap in blooming seasons for Salvias. Winter bloomers include evergreen as well as deciduous perennial Salvias. Depending on type, they grow well in USDA Zones ranging from 8 to 11 with some tolerating the chill of Zone 7. Unless local forage is in short supply, most deer likely will avoid this plant. It appears that deer dislike Salvias, in general, due to their volatile oils that make the plants so fragrant and savory in cooking. However, the only completely deer-proof plants are the ones grown beyond reach. Based on our experience and reports from customers, hummingbirds (Trochilidae spp.) love this plant. Hummingbirds exist only in the Americas where their 300-plus species are particularly fond of the nectar in brightly colored Salvias from the Western Hemisphere. However, if favorites aren’t available, they dine on the nectar of most Salvias. Salvias and their companion plants pop with color. Sweep your eyes from top to the bottom here for an impression of this plant's color combinations. The first row displays blossoms from primary to less dominant shades and includes any contrasting throat color. The second tier is the main hue of leaf-like bracts or calyxes supporting the flowers. Foliage (one or two colors) leafs out in the bottom row. We based our analysis of this plant’s floral and foliar color on the internationally standardized color system published by the U.K.’s Royal Horticultural Society. Called the RHS Large Colour Charts, this publication is a boxed set of color swatches arranged in fans and containing all the colors that RHS has identified in horticulture. RHS gives each color a common name and code number. Each swatch has a small hole punched into it. We place the swatch over a flower petal and compare the blossom’s color to that of the card. When using RHS colors to compare plants that you want to combine in a flowerbed, in bouquets or in some other manner, RHS says to view them indoors in north light. If you are matching our digital swatches to flowers already in your garden, pluck two or three fully open blossoms of each plant that requires analysis. pH or soil chemistry that varies from one locale to another and causes color shifts. Finally, RHS notes that you shouldn’t attempt color matching when your eyes are fatigued. I'm just getting in to growing salvias. I ordered 3 each of salvia glechomifolia (ground ivy sage) and salvia microphylla (\"Hot Lips\") from FBTS. All plants arrived happy and thriving, and have already settled in with new growth and flowers in my Portland garden. Thank you Vikki and Kermit! Got my order this afternoon. Everything was great, much better than I expected. Thanks for the extra keikis. Many of your keikis were bigger and more advanced than some 2 1/2-3 inch potted orchids I've received from other mail-order nurseries at 3 times the price. Enter your email here and we'll send you an email as soon as this plant is back in stock.